The shelf life can be several years and the vanilla actually improves in flavor in time. The best way to keep them from drying out is to put them in a food saver bag and vacuum seal them.Here is my go to place for ideas: NEVER STORE IN THE FREEZER OR REFRIGERATOR! 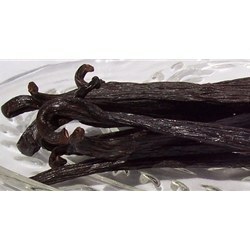 Gourmet Bourbon Vanilla Beans are a product of Madagascar. They have a rich, creamy flavor. Whole or split beans are most used to flavor creams, custards, and ice cream. In addition, vanilla beans can be used to flavor cakes, tarts, chocolate, and other baked goods.